If Myofascial Release Therapy Right For You? Do your muscles feel tight? Are you experiencing chronic pain in your back, hips, or shoulders? If you answered yes to either of these questions, scheduling an appointment for myofascial release therapy at Naples Massage and Neuromuscular could be just the thing you need. Before you make that decision, read below to learn more about myofascial release therapy and its benefits. Quite simply, the myofascia is a network of soft tissue that envelops our bodies, wrapping around our muscles and organs to help keep everything in its proper place. When your body’s myofascia is healthy, it absorbs the strain that you put on your body and distributes it to avoid injury to your internal organs. This function puts a lot of strain on your myofascia, and can cause it to become knotted and damaged over time. As you can see, the myofascia plays a crucial role in the total health of your body, and keeping it in proper working order is highly recommended. How does myofascial release therapy help me? 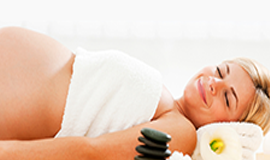 There are numerous health benefits associated with myofascial release therapy. By using myofascial release therapy, knots and other tissue damage under the skin that may have been restricting blood flow are worked out. Improving your body’s blood flow helps your body run optimally, promotes healthy organ function and cell growth, and allows your body to heal from injuries faster. Myofascial release therapy also improves the flow of fluid to your lymph, which will not only strengthen your immune system, but will also give you more energy. 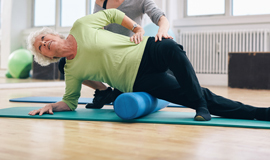 Can myofascial release therapy reduce my pain? Pain reduction is one of the key benefits of myofascial release therapy. Most people develop some sort of pain from their day-to-day activities. The repeated stress caused by our daily motions can cause the myofascia to tighten, which in turn causes a dull pain that just won’t seem to go away. By utilizing myofascial release therapy, the “tight” feeling you get after a long work day can be reduced or even eliminated altogether. Myofascial release therapy is also a great way to improve your range of motion, and reduce post-workout soreness. If you think you could benefit from myofascial release therapy, or are just curious to learn more, contact us today! At Naples Massage and Neuromuscular our professional and experienced staff will take the time to make sure that you are getting the most appropriate massage for your ailment.